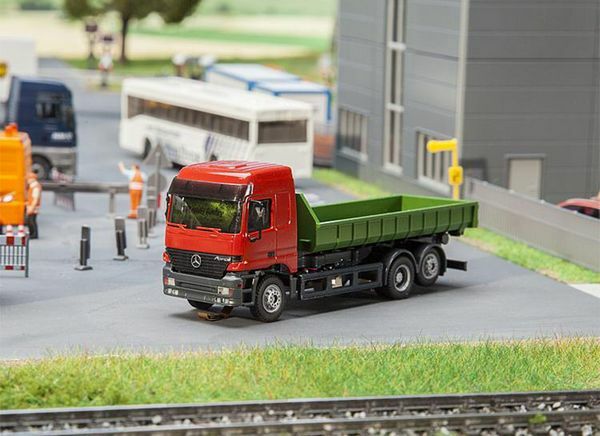 Mercedes Benz Actros L. Year of construction of the original: 2002. The Actros was presented in 1996 and has been built in various variants since. The model has a lifting body with winch and hook, and is loaded with an empty low roll-off trough.